75 students visited Little Canada on the Isle of Wight for one of the most memorable Arnewood School trips. We arrived in glorious sunshine and were welcomed by an enthusiastic PGL team who gave us a tour of the 48-acre woodland site. After our introduction to the canteen, where there was always plenty of food and a good choice of dishes, we spent our first evening playing Ambush! A huge game of hide and seek in the dark. Whole groups lay silently in wait, pressed to the floor without making a move for what seemed like ages, ready to pounce on the seekers once they’d walked past. Students were in high spirits when they retired to their log cabins for their first night at Little Canada. Saturday began with a cooked breakfast, followed by a range of pursuits completed in small groups. The weather had turned cold, and students were wrapped up warmly as they took turns on different activities. 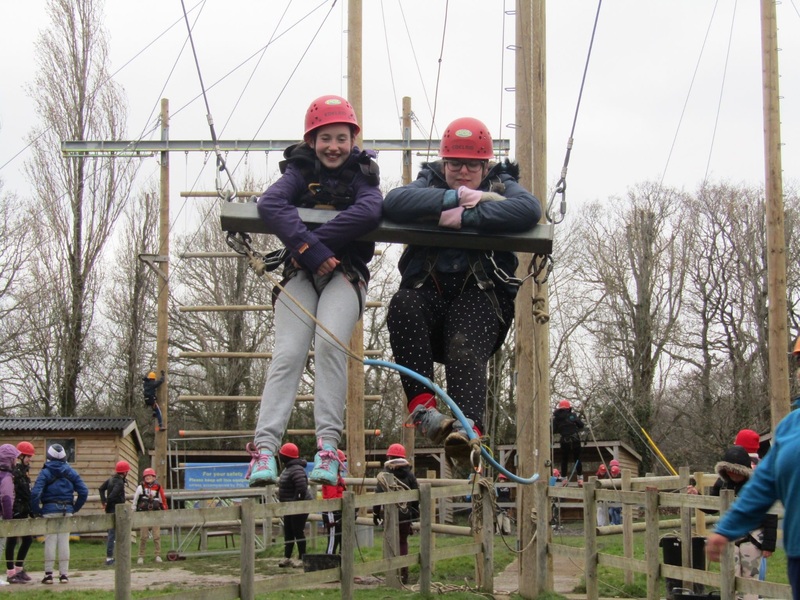 The Giant Swing was a favourite, which involved children sitting in a swing and being pulled by the remaining students until they were left hanging 30 feet in the air, then suddenly being released to cheers from the rest of the group. Aeroball was a series of short competitive games of ‘almost volleyball, not quite basketball’ on trampolines. The challenge course was particularly hard given the cold weather, but students rose to the challenge of overcoming a range of obstacles on a very tricky assault course. 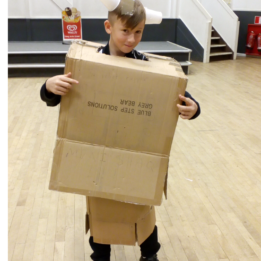 The campfire was replaced by indoor activities, and students displayed a genuinely impressive ability to work in groups and have fun together. They returned to their cabins and slept through a snow-storm, waking to find Little Canada covered in inches of snow! This really was a rare event for the Isle of Wight, and we re-jigged the timetable for our last day to make sure we got home safe and early. Students managed to enjoy all of the planned activities, with a few adjustments due to the snow. 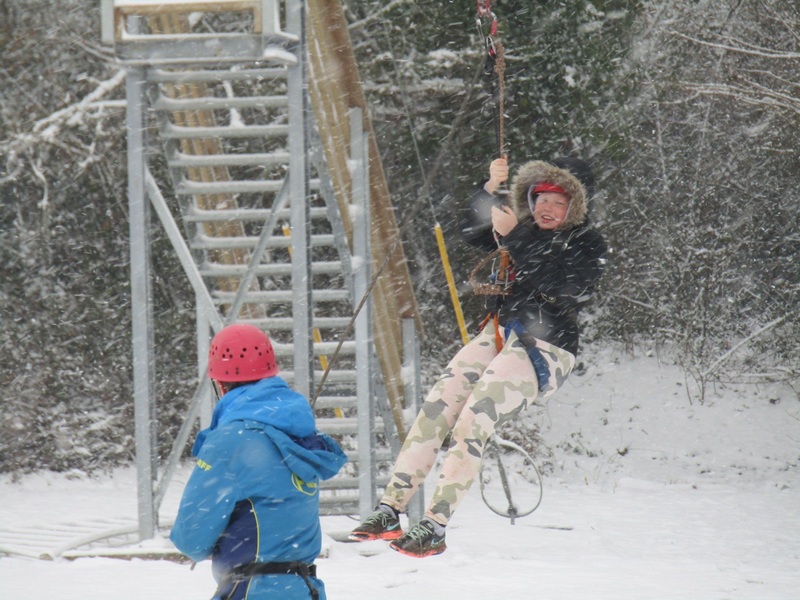 For example, as individuals flew down the zip wire, other group members tried to pelt them with snowballs. The forest walk down to the beach was particularly beautiful, but the icy wind when we arrived meant we turned back pretty quickly, spending some extra time at the canteen where PGL staff had laid out hot chocolates for everyone to warm our spirits. It was an amazing weekend, and students showed resilience, determination and a wonderful spirit of mutual support and encouragement. They were a credit to their parents and should be very proud of themselves for the way they represented the school.